About four years ago I made it a life goal of mine to run a half marathon. I got into running races when I was in college and did a few 5ks before progressing to 10ks. I enjoy the rush of competition and at the same time I love partaking in something where you’re all struggling together to reach the end alive. I haven’t always liked running. In fact, I used to loathe it with every ounce of my being. If my 13 year-old self could hear my 25-year old self talking about half marathons, I think she would keel over and die. When I was in secondary school back in England, I remember being forced to run long distances in PE and wanting to die every time. The PE teacher would stand at the finish line with that ominous stop watch yelling at the top of his lungs for me to get a move on. At the age of 12, running was intimidating. It was unpleasant. 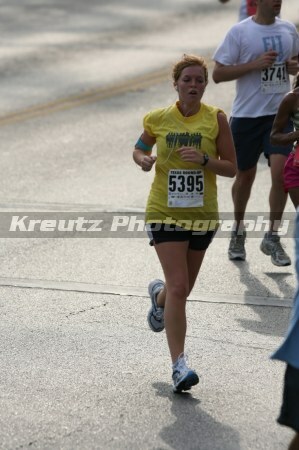 And worst of all, running reminded me of how un-athletic and self-conscious I was. I spent the better part of high school attempting to remedy my fear of anything remotely athletic. It all started when I was a Freshman and my parents decided we should collectively get on the Body for Life diet/exercise plan. I mean, who couldn’t resist wanting to look like this hunk? For a 15 year old teenager, this wasn’t the most fun thing in the world, I assure you. We began getting up at the crack of dawn and going to the gym before school. Every day. Before school. EVERY DAY. 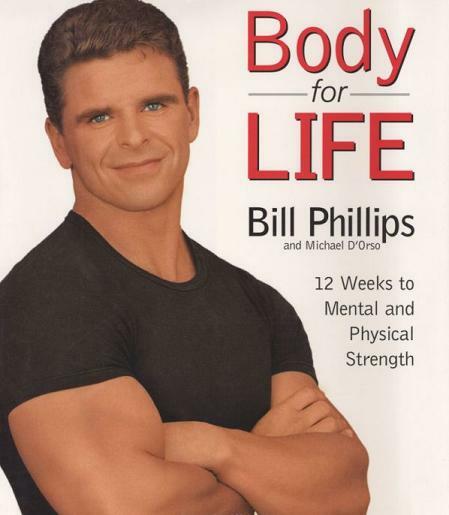 The Watson household started eating everything in fist-sized portions, eating low-fat versions of our favorite foods, and pining over the before-and-after transformations in the book that this guy ^ promised to deliver. At school, I spent the 5 minutes between classes choking down power bars that tasted like cardboard and slim fast shakes that tasted like pepto bismol hoping that none of my class mates would notice. As awful as I make this sound, it actually was a significant turning point in my life. I began to not feel so intimidated about exercise and healthy food choices. It lead the way to me joining the tennis team in my high school in Texas and getting first place in the district competition, then going on to compete at State. That was something my 12 year-old self would have never imagined. Well, this year I decided it’s now or never. I signed up for that half-marathon and I’ll be running it come rain or shine on March 20th. I’m training with a friend who’s tall and lean and somewhat of a veteran when it comes to running half marathons. But I often smile to myself as I puff and pant and struggle to keep up with her long-legged pace. I smile about how far I’ve come from those dreadful middle school days of fear and embarrassment. From those days of never thinking that I’d be any good at sports. Well, I’m no pro but I’m finally doing this. I’m finally trying, and boy does it feel good : ) If I can do it, anyone can. See you at the finish line! You go girl – I’m proud of you – sorry about the power bars!!! Good luck! I can’t run right now but I actually do miss it. Thanks, Kathleen! Good to hear from you… CONGRATULATIONS, by the way : ) We are so happy for you two. what about when that middle-schooler used to run home after school to try and beat me LOL – she would sprint her little heart out!